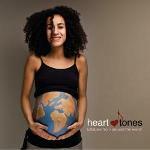 Various Artists, Heart Tones - Lullabies from around the world. Heart Tone Records, 2012. There are plenty of lullaby "various artists" albums out there on the market - and this column has already reviewed a few of them. "Heart Tones - lullabies from around the world" sets itself somewhat apart from the average - as this album features only original recordings recorded by the same musician and composer, Phillip von Rothkirch. This makes the album coherent and special. The story of the album is that Phillip von Rothkirch decided after the birth of his son to invite his wide range of musical friends to record an album of international lullabies. 25 artists came, most of them living in Berlin, to record 13 songs representing 13 different countries from all continents, from Haiti via Southkorea and India to Georgia and Israel. Not that you can tell the origin of the songs from the sleeve notes of the album - and here is my only criticism: There is hardly any information about the origin of each of the lullabies or the artists; it takes the promotional info (or the website) to find out anything about songs and musicians. None of the artists' names sound familiar to me; according to the promotional info, the musicians come from a diverse range of styles - classical, jazz, soul, world. 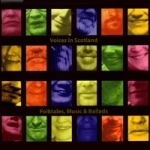 Various Artists, Voices in Scotland - Folktales, Music and Ballads. Brechin All Records, 2011. The instrumentation with the songs is subtle throughout, the piano being the main instrument, but a range of other instruments give the album some more variation. The songs all feel like lullabies, calming and pleasant. The album feels overall rounded, and will be suitable to calm your little children down to sleep, or for you to chill out with it. Moving from lullabies to storytelling, and from a Berlin world project to a Scotland world project. "Voices in Scotland - Folktales, Music and Ballads" is a double CD of eight folktales, from Scottish resident storytellers - but featuring folktales from all over the world: From Scotland, Ireland, England, Japan, Africa, America and Canada. It offers over 2 hours of folk tales, suitable for adults and older children alike, presented by excellent storytellers. Well, I should mention that there is one story which I struggle to follow - Stanley Robertson's Scots dialect is very strong and makes the understanding of it for non-Scottish audiences a bit more of a challenge. Quadro Nuevo, Schöne Kinderlieder. Fine Music, 2011. The storytelling is accompanied throughout by music on a range of instruments - and this is where for me less would have been more, as the music often becomes too dominant, taking the listener's attention away from the storytelling, making the listening to the stories harder than it would have been necessary. If the music was used more sparingly, to highlight certain parts of the stories, it might have worked better. As a result of this, my personal highlights are the two bonus songs - a beautiful Mairi Campbell version of "The Piper and The Maker", and a very traditional version of "O Are Ye Sleeping Maggie?" by Stanley Robertson. I should say though that the quality of the musicians is high, including for example Mary MacMaster, Leo McCann and Sarah McFadyen as well as musicians from a world music background. So overall only a cautious recommendation to this album. Finally, I would like to mention a gem of a CD presented in this issue's German Folk4Kidz column. 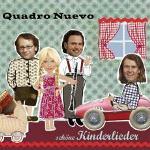 Quadro Nuevo's CD "Schöne Kinderlieder" presents clever instrumental interpretations of many classic traditional German childrens' songs, with beautiful and playful arrangements, with some jazz influences. No matter if you know the songs or not, it is a delight to listen to! My favourite album of 2011.